A tech giant trying to hide dubious behavior from Margrethe Vestager is like an elephant trying to hide behind a cactus—it’s clearly exposed and liable to a good pricking. Marching with an army of pines and a megaphone, the European commissioner for competition has been the exposer-in-chief of global tech giants Amazon and Apple. 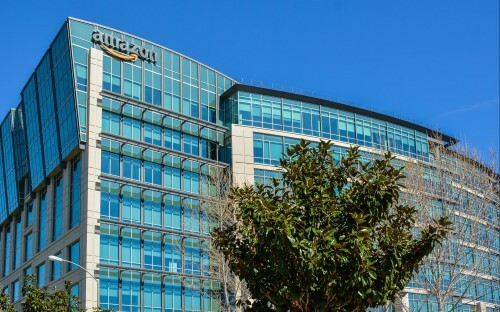 By investigating Amazon over a €250 million tax loophole in Luxembourg stretching back to 2003, and Apple over €13 billion of back taxes owed to Dublin, she has brought to the fore a debate about the ethics of tech giants and their impish approach to corporate tax. But, are they actually doing anything wrong? So why then, if they are simply fulfilling an obligation, is there such a problem? Nicholas thinks that, in some instances, the onus lies with governments. The Irish government did little to discourage Apple from exploiting a tax loophole. “The tax issues with Apple in Ireland came from the way the Irish government wrote their contracts,” he explains, “Apple was paying almost no tax at all as a result of that. With the major tech corporations originating from America, it’s easy to see why the European Commission’s targeting of them could be misconstrued as bias—after all, in the minds of their CEOs, they’ve done nothing wrong. Mirko Hayat, affiliate professor of law and tax at HEC Paris, agrees. “Article three of the Treaty on the Functioning of the European Union confers exclusive competence on the European Union to establish rules of competition,” he explains. “Competition policy is thus implemented through regulations taken directly by the European Commission. In order to be effective, the EU is focusing its watch on the most important cases that are causing serious distortions of competition. Businesses need to work harmoniously with their shareholders to make a profit—the reason they exist. But at the same time, the increased exposure of malpractice could be a watershed moment in the realms of taxation. The Organisation for Economic Co-operation and Development (OECD) is running a scheme called Base Erosion and Profit Shifting (BEPS) to try to tackle the problem—it opens the floor to any think tank in the world for suggestions on how to make the international taxation system more coherent. Something to come out of this is country-by-country reporting—a template for multi-national enterprises (MNEs) to declare annually each tax jurisdiction in which they do business. Emmanuelle Deglaire, associate professor of law and tax at France's EDHEC Business School, thinks the international tax movement has changed more in the past decade than ever before. "The recent revelations have changed the way people think about tax evasion,” she says. “Finally, states are moving towards coordination to ensure tax loopholes are better known and easier to identify. “There are something like 60 countries in the world implementing the OECD scheme at the moment—so I want to be optimistic. But companies do not trust states anymore because they organize the redistribution of taxes the way they want to," she continues.